On March 15, 100 underclassmen from Mt. 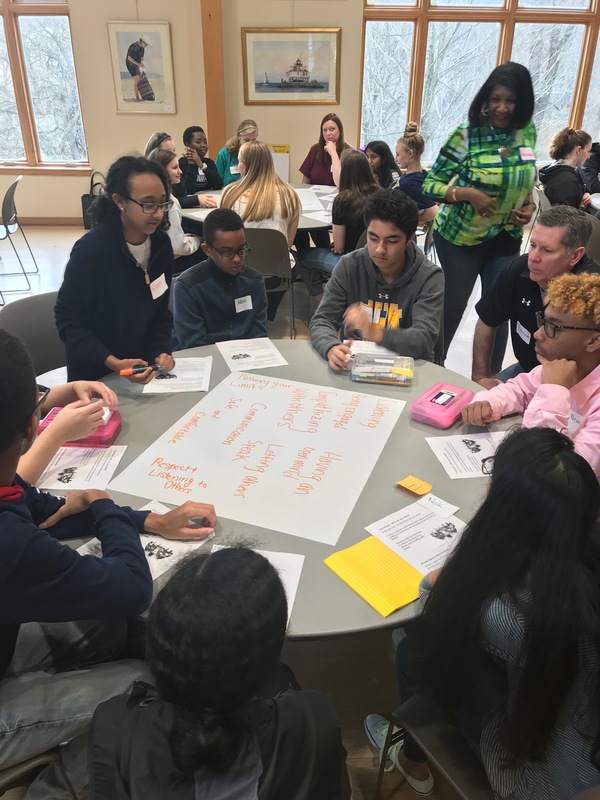 Hebron, led by seniors, teachers, Dr. Miller, and Howard County Central Office representatives, went to the Howard County Conservancy to hold a leadership conference. The purpose of the conference was for the seniors and teachers to instill what leadership should look like for the near future at Mt. Hebron. Dr. Miller set up the leadership conference alongside members of the central office. She wanted the leadership conference to be a safe place where kids could freely talk about how to improve Mt. Hebron. “So it was two years of trying to get it together. We want kids- there are 1640 kids in the building- and we want students to feel empowered for the climate and culture they want at Hebron. The only way to do that would be through student leadership like a general assembly or branch or committees branched off of SGA. Kids have lots of ideas so we want to capitalize on that. In order to develop an open environment, students were instructed to address adults by their first name. They were also encouraged to break away from reputational boundaries, to be engaged in discussions, and to converse with people that they would not normally talk to. Junior Mackenzie Strozyk who is a current member of SGA, a field hockey and lacrosse player, and is involved in other clubs at Mt. Hebron, went on the leadership conference to learn more about what she could do to better improve the school’s community for everyone. To commence the conference, students were instructed to participate in various activities, including dancing, talking, and sharing personal experiences to allow for everyone to meet and greet one another. Then, the students were asked to define leadership as they have seen it at Mt. Hebron and how they hope to see it improve. Throughout the conference, the students were split into different groups to discuss how they could be leaders every day, even without a title like being on SGA. Students also discussed what morals were most important to them and to Mt. Hebron’s community, and how they could integrate those morals better in the community. At the end of the conference, students were once again split into new groups where they talked about what ideas they had to improve Mt. 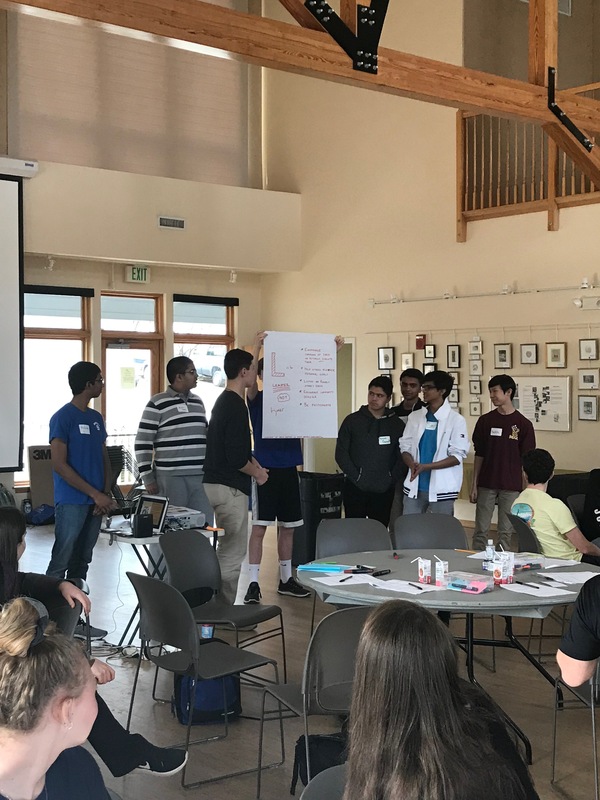 Hebron leadership for the future and what they could add in the upcoming years to better improve communication and participation from the student body and staff members. 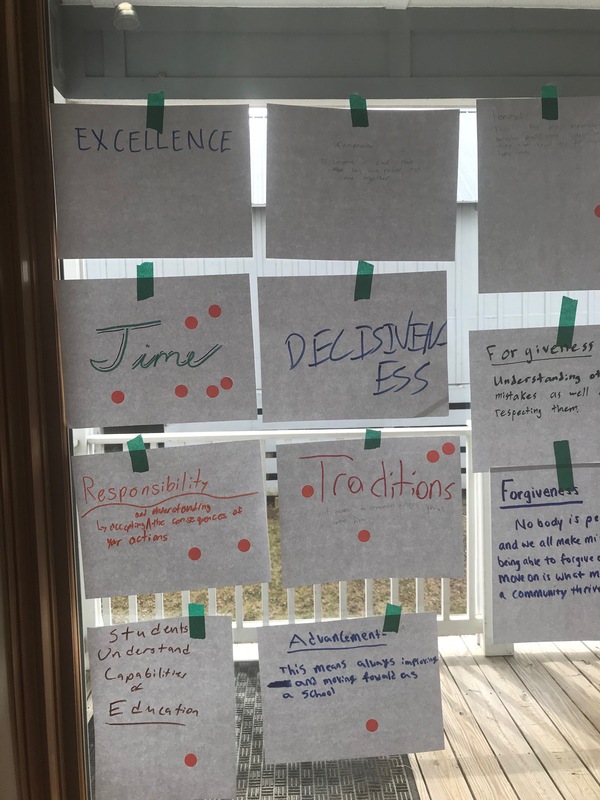 Some of the ideas that were generated include a student improvement committee in which students who are not members of SGA would coordinate with SGA as well as Dr. Miller to participate more in projects to make Mt. Hebron a better place for everyone. Another concept to improve communication between SGA and the rest of the student body was to have weekly or monthly announcements from SGA to share some of the behind-the-scenes projects and upcoming events with the students to make the information more accessible for all. Senior host Molly Peterson was very enthusiastic about the results of the meeting.